This edition of The Broken Rifle goes back to the basics of what has driven many of us to become pacifists, exploring some of the impacts of militarism around the world today. We have examples of current armed conflicts: in Syria, where we share the statement of the Human Rights Association and Human Rights Foundation of Turkey following the Turkish military's ''Olive Branch'' operation in Afrin; from Yemen we have a blog post describing what it's like to live in a war zone on a "normal" day, and another looking back at the history and forward to the future of this three year war. We have examples of political repression enforced with weapons in Catalonia and Eritrea, and updates on countries long-impacted by division held in place by armed borders: South Korea and Cyprus. Finally, conscription has been introduced and reintroduced in a number of countries around the world. For many years it looked like this particular form of militarisation was on the way out, but now it seems that trend is reversing. We include an article on the topic first seen in our CO-Update! The impacts of militarism and war take many different forms. But we know that militarism is being challenged in many ways, too. 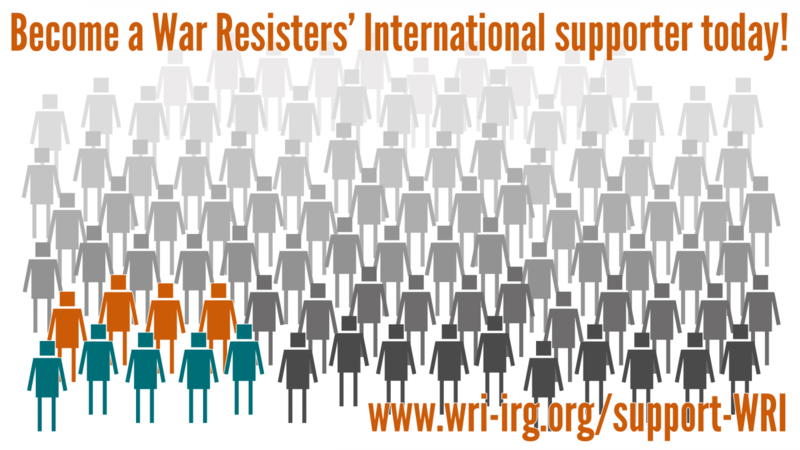 Have a look at our list of affiliates here to find out what the WRI network is doing to challenge militarism around the world. A day in the life of Hakim Najm in Yemen. His blog sheds light on what it's like to live with the regular threat of air strikes and in a city blockaded from the outside world, experiencing shortages of fuel, food and medical supplies, and all the time trying to tell the outside world of the situation. Stronger international solidarity is needed for this country that has now experienced 1000 days of war. My name is Erman and I was born on one side of this divided Cyprus in 1990. The division of the island started a long time before I was born, in 1974, but the roots of the division started even earlier. When we say 'division', it could refer to one of two things: the division in our mind, or the wall that separates this whole island into two. In the month of January, people around the world celebrate the beginning of a new year, a new chapter in their lives. They are thinking of what they are going to achieve and accomplish and how they are going to spend their year. On the other side of the world—being completely forgotten—are the people of Yemen. It’s a new year they want to be optimistic but can’t help feeling worried. For them it is another year of living in fear, hunger and a dark unknown future. It seems that few could imagine that the problems made by the Spanish state for the Catalan referendum on 1st October would lead to exactly that which reinforces the legitimacy of the fight of many social claims: peaceful popular resistance.